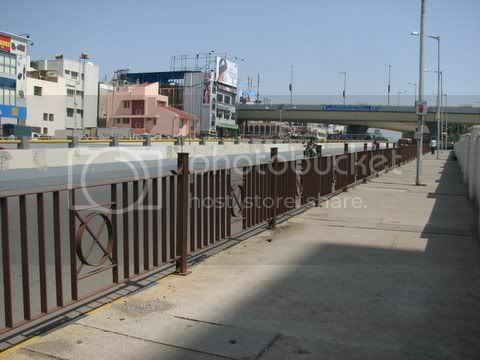 The new roads of Bangalore…. Here’s Bannerghatta Road, at the Jayadeva flyover; four years ago, all the trees that had been planted on this road were cut down and the road widened, and the flyover built. Can you see even a blade of grass in the picture? What has the effect of the tree-felling, road-widening, and flyover-building been on traffic? The traffic is as choked as ever, and all that has happened is that we have lost a lot of greenery and tree cover; the area has become much more polluted and noisy. Can we stop further unnecessary felling of trees and widening of roads, which result in the same traffic congestion + lack of trees, just a few years down the line, and think of more long-term and people-friendly solutions to our traffic problems?